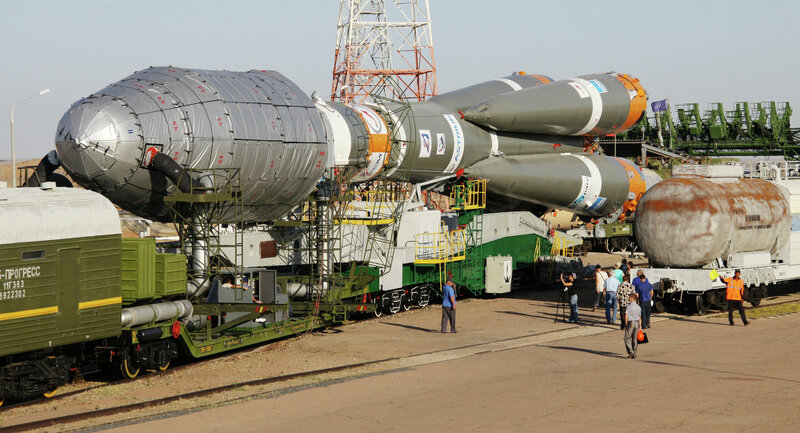 MOSCOW (Sputnik) – The first flying prototype of the new Soyuz-5 carrier rocket could be built by 2022, Alexander Kirilin, general director of Samara-based Progress rocket and space company, said. “The Soyuz-5.1 is a medium-class carrier rocket with a launch weight of about 270 tonnes,” Kirilin said in an interview with RIA Novosti published Tuesday. “It could replace the Soyuz-2 carrier rockets in the future,” he added. According to Kirilin, the draft design of the Soyuz-5 is expected to be ready by the end of 2015. A scale mock-up model of the Soyuz-5 will be displayed at the MAKS-2015 air show outside Moscow on August 25-30. Russia’s future Soyuz-5 carrier rocket will be equipped with advanced new engines using ecology-friendly fuel, according to Alexander Kirilin. “One of the distinguishing features of the Soyuz-5 is the use of liquefied natural gas as fuel,” Kirilin said in an interview with RIA Novosti published on Tuesday. “The engines will be developed from scratch, which would allow us to apply a variety of advanced technological and economic characteristics that would make Soyuz-5 competitive on global markets,” Kirilin said. “The design of Soyuz-5 allows the addition of extra side blocks to make it a heavy-class rocket, but we are focusing now on a prototype with operational payload of 9 metric tons,” he added. At the same time, Kirillin stressed that the Soyuz-5 will not compete with the ongoing development of the Angara family of carrier rockets. The first launch of a Soyuz-2.1a carrier rocket with a Progress space freighter since the April mission failure has been scheduled for the end of this year, Alexander Kirilin said. The failure of the Soyuz-2.1a launch on April 28 led to the loss of the Progress M-27M cargo spacecraft carrying supplies for the International Space Station. Launches of the Soyuz-2.1a-Progress tandem have been suspended since then. "We are taking steps to identify the causes of the failure and to fix the problems. The next launch of a Soyuz-2.1a with a Progress cargo spacecraft is planned for the end of 2015," Kirilin said in an interview with RIA Novosti published on Tuesday. The Progress rocket and space company is the developer of the Soyuz-2 family of carrier rockets.